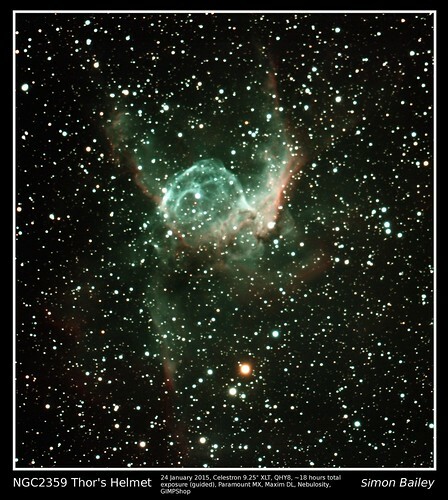 Thor’s Helmet is about 30 light-years across. 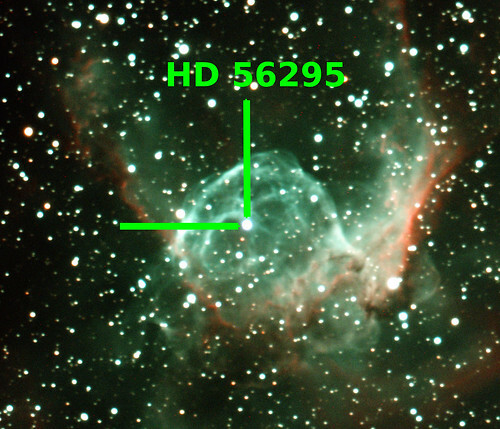 The helmet is an interstellar bubble, blown as a fast wind from the bright, massive star near the bubble’s centre sweeps through a surrounding molecular cloud. Known as a Wolf-Rayet star, the central star is an extremely hot giant thought to be in a brief, pre-supernova stage of evolution. 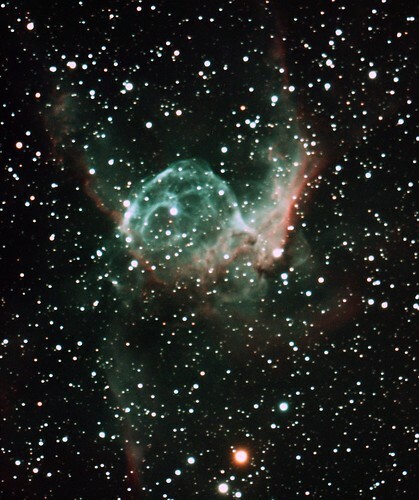 The nebula is located about 15,000 light-years away in the constellation Canis Major.